This is another of my favorite pages with my niece. 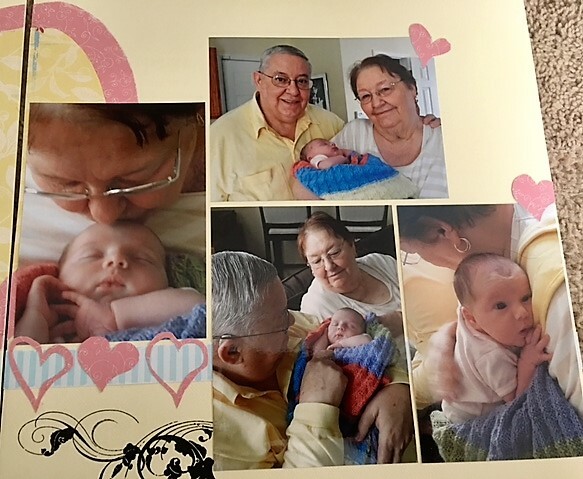 I adore this page that captures the first moments my parents experienced as grandparents. I’d like to thank someone out there for the layout scheme that I scraplifted – I have no idea where as I save ideas in a book. I loved the large free-drawn heart and the title in particular. The soft muted colors work perfectly for a baby-themed page. “Finally” and “parents” stickers are from BasicGrey – notice how smaller stickers on top of larger still stick out. 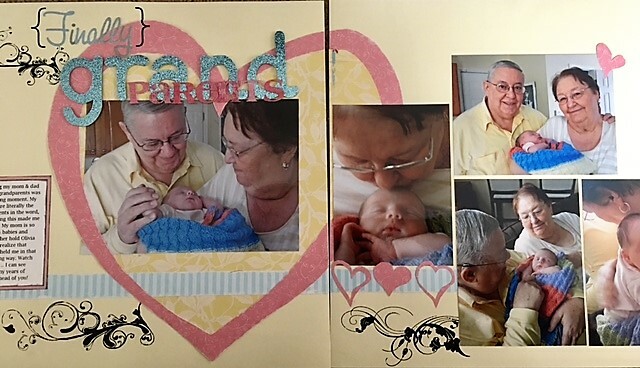 This entry was posted in Scrapbooking and tagged BasicGrey, cardstock, chipboard, craft knife, grandparents, layout, patterned paper, rub-ons, scrapbook, scrapbooking, stickers.